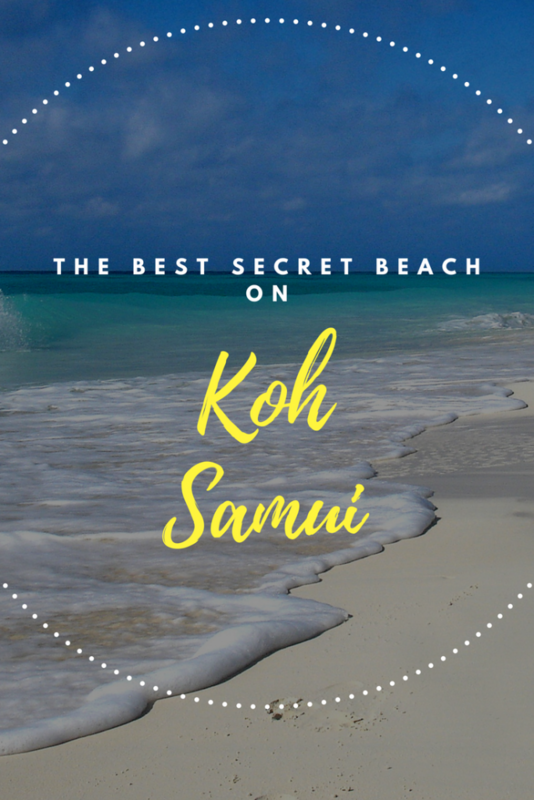 What is the best secret beach on Koh Samui? The best secret beach on Koh Samui is Baan Tai. I’ve seen every one of them and I want to share with you everything about this hidden gem on Koh Samui. If you’re travelling or backpacking on Koh Samui, then you need to see this beach! 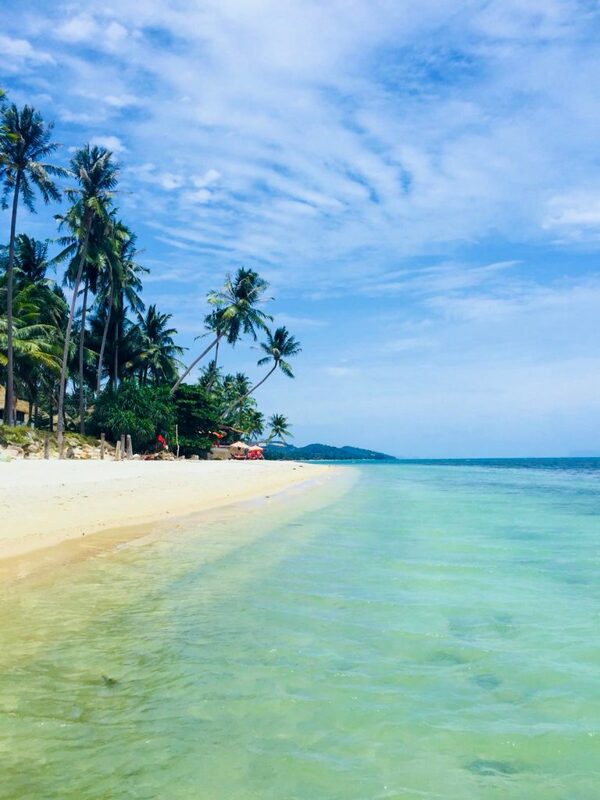 It is the perfect beach for everyone and the best thing is, you will more than likely have this top beach on Koh Samui all to yourself. It is also the best beach on Koh Samui for swimming in. 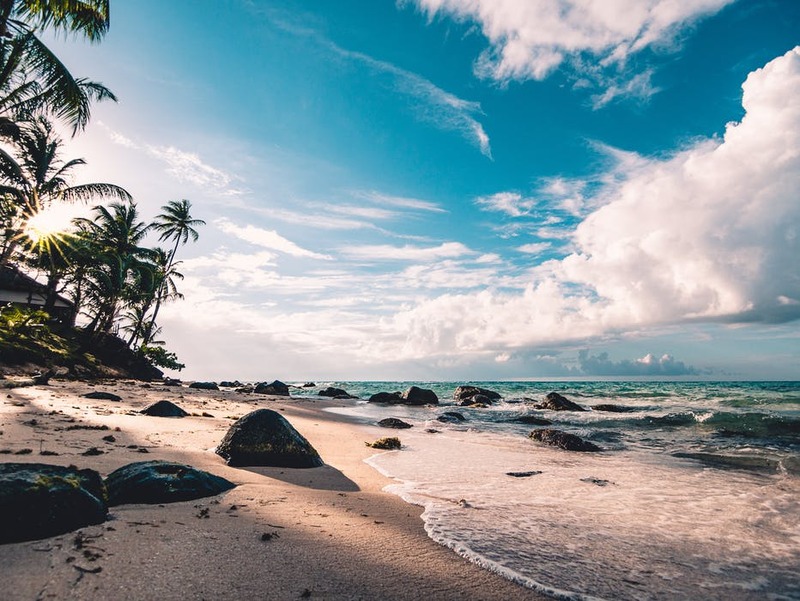 There are plenty of things to on Koh Samui, it is a Thai island that is perfect for all age generations and it’s great for what ever type of visit you are on. For example, it’s perfect for party backpackers, but also perfect for those who want to relax on one of Thailand’s best islands to visit. There are other epic beaches, such as the Silver Beach. I will talk about this beach in this post. We hired a scooter for the day to explore possibly Thailand’s best island. 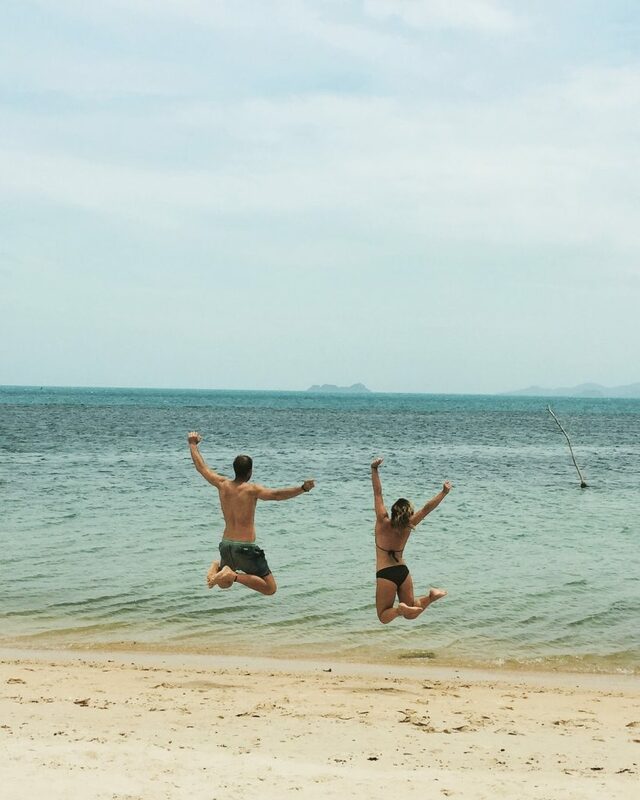 We wanted to find the best secret beach on Koh Samui, but there’s so many where do you start? We started with Koh Samui’s East Coast Lamai beach. By dinner time we came across Koh Samui’s Baan Tai beach. We pulled up on the scooter and parked on the sandy road behind the beach. First thing we noticed was the sweet-high-standing palm trees, in front of the deep blue sky. We ran onto the best secret beach on Koh Samui and crazily there wasn’t another person in sight. Happy days, a Koh Samui beach all to ourselves. We spend the afternoon soaking up the sun, snorkelling in the clear blue water and eating at the best restaurant on the hidden beach on Koh Samui. Also,Baan Tai is the perfect beach for watching the sunset over Thailand. Not many tourists know about the secret beach on Koh Samui, this is why it’s secret. This is one of the best things about the beach, no matter what time of day you go, there isn’t going to be many people there. So where is the best hidden beach on Koh Samui? – The Baan Tai beach is North of the Koh Samui Island. Koh Samui is not a massive island, it’s only 10-15 kilometres in width. So wherever you visit on the island, it won’t take you to long to get there. I was staying in Rich Hotel beach resort on the South of Koh Samui and it only took me around 30 minutes to ride to the hidden beach in the north of Koh Samui. Koh Samui’s Baan Tai beach is next to the Bang Por beach and also sits in front of some epic view points. Which are worth a visit, you can see Koh Phangan from the view points. The secret beach on Koh Samui is in a cool community, you could easily mistake it for a Californian suburb retirement village. There’s luxury villas, shops, restaurants, gyms and everything else needed to make a life there. If you want another Top hidden beach on Koh Samui, then you should definitely check out the Silver beach. Another epic place to visit on one of Thailand’s most stunning islands. This secret beach on Koh Samui is supposedly private to the four businesses that are on it. However Silver beach is free to use by us travellers. Koh Samui’s silver beach is also a good snorkelling beach and a sweet place for swimming. So don’t forget your snorkelling gear! Is there kayak rent available on Silver beach? Yes you can rent a kayak and enjoy some water activity why the rest of the family enjoy this stunning beach. This secret beach on Koh Samui is family friendly, so it’s a perfect place to enjoy a family day out. There is also great restaurants and accommodation available on the Silver beach for not a bad price. How to get to silver beach? There is a few choices again, let’s have a look. Scooter – This will be your most fun and cheapest option. I always take a scooter!! Taxi – If you’re on a family holiday on Koh Samui, then a taxi is probably your best option to get to Silver beach. Everybody knows this beach on Koh Samui so the taxi driver won’t have a problem finding it. Bicycle- Depending where your accommodation is on Koh Samui you should take a bicycle. It’s a great way of keeping fit and it’s fun. But just remember to be careful on the road. If you want a great Instagram photo or a cool spot for your YouTube video. You should check each end of Silver beach as it has cool rockery for the camera shots. 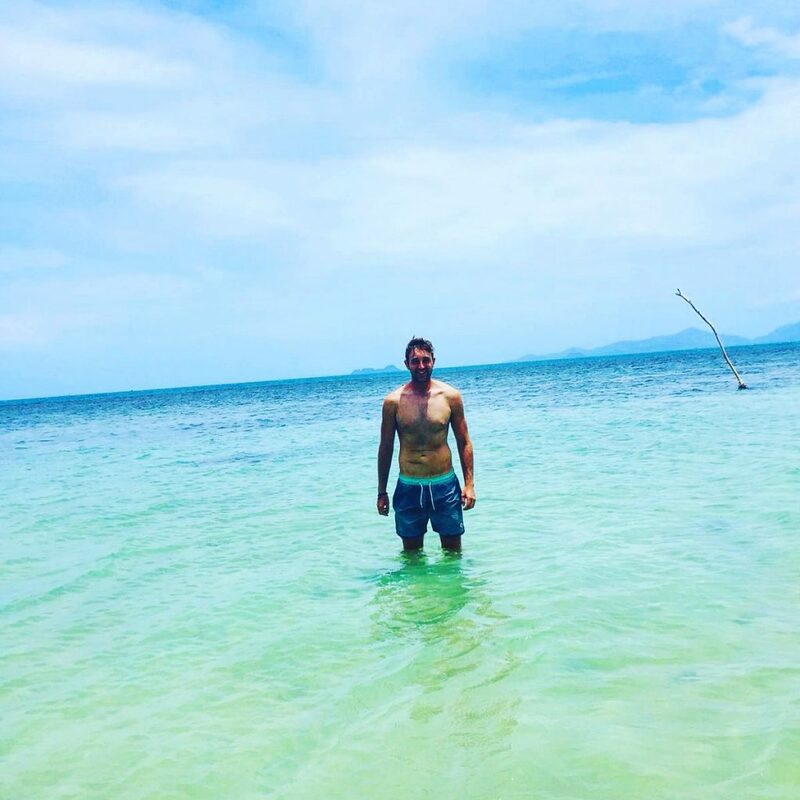 How to get to the best secret beach on Koh Samui? You should hire a scooter to get to the hidden beach. Scooter rental is around 200 Baht ($6) for the day, this is what I paid. You can fill the scooter with gas for just a dollar. Scooter rental is great fun and it’s very popular for tourists. Also, you will get to see many of the best things to do on Koh Samui. Check out cheap bikes for scooter rental. The route to the Baan Tai beach is an epic journey along the coast of Koh Samui. You can reach the hidden beach from either the west or the east coast of Koh Samui. On the island of Koh Samui, there is taxi trucks that just randomly drive round picking tourists up off the street. You flag them down and they’ll drop you off along their route. This is very popular for tourists visit Chaweng beach or the Chaweng shopping centre. However, due to the location of the secret beach, I didn’t see any of them around. So you will have to get a taxi or a scooter. A taxi will be a lot more expensive than the Koh Samui scooter rental for 24 hours. Is there any restaurants on Koh Samui’s hidden beach? A mega cool beach cafe. It has a laid back vibe, great cheap food and the sweetest beach views. There’s cool deco of draping seashells and handmade seat and table wooden structure. I got a chicken, veg and rice dish for $2. It was mega tasty. The only downside to the restaurant, there isn’t much option on the menu. There’s roughly around 9 meals to choose from and 4 different variety of drinks. Nevertheless, it’s still a sweet beach-side restaurant and it’s in a perfect location. Is there parking at the best secret beach on Koh Samui? Yes there is free parking for scooters and you may get a couple of cars in there. But, I wouldn’t recommend driving right up to the beach in a car, I’d leave it on the main road.